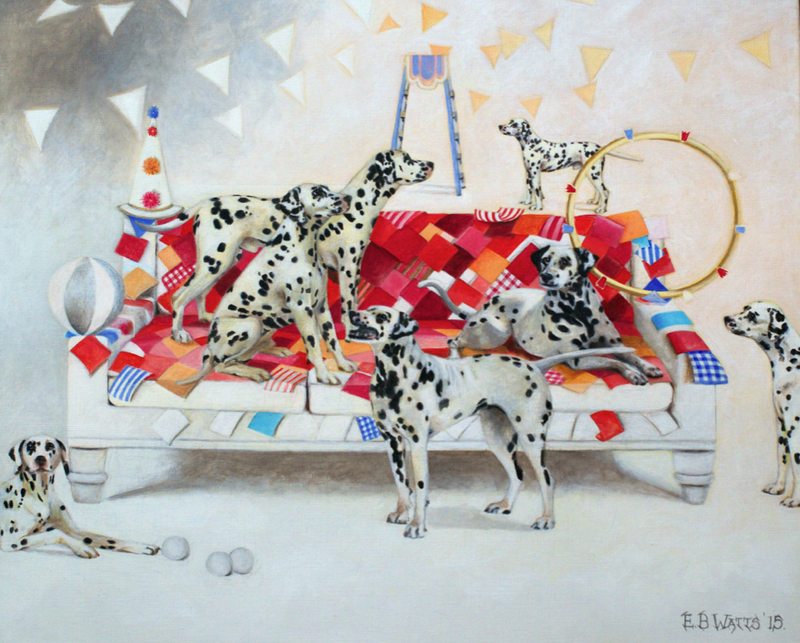 I always wanted to paint Dalmatians. They are extremely stylish and different; they range from being pets to performers. The circus symbols and colours of red, white and blue help to conjure up the big top in the imagination. Choose Your Platform & Share This Story!